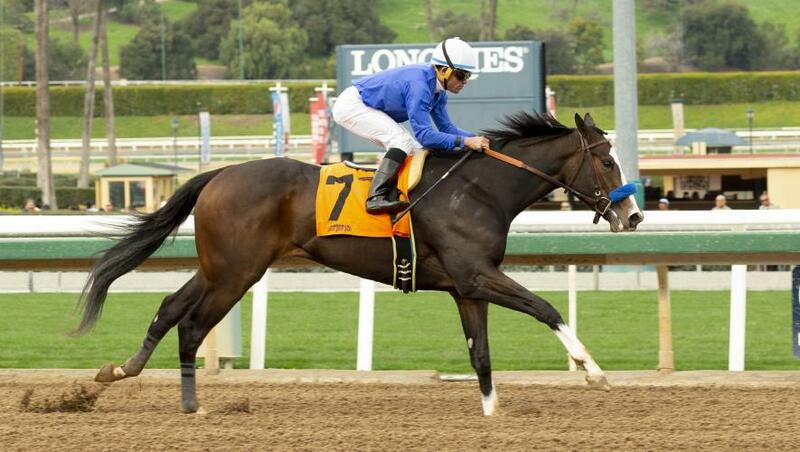 Three-year-old filly Flor de la Mar (Bob Baffert/Joel Rosario) lived up to the hype in her debut in a maiden race at Santa Anita, USA, on Sunday, January 21. Flor de la Mar broke sharply and was on the pace while three-wide around the turn before pulling away under jockey Joel Rosario to win easily by five lengths in a final time of 1:17.45. Off at 1-5 odds, she had been much hyped leading up to her debut, and she certainly didn't disappoint. She was named a 'TDN Rising Star' for her performance. Trained by Bob Baffert, Flor de la Mar is by Tiznow out of G3 winner Sacristy (Pulpit).